In this 5 days holiday, I had a chance to read previous assigned chapters of Towards an Architecture. I’ve gone over those chapters because I wanted to make everything crystal clear. At the very last I’ve read the “Regulating Lines”, in other words “construction lines”. 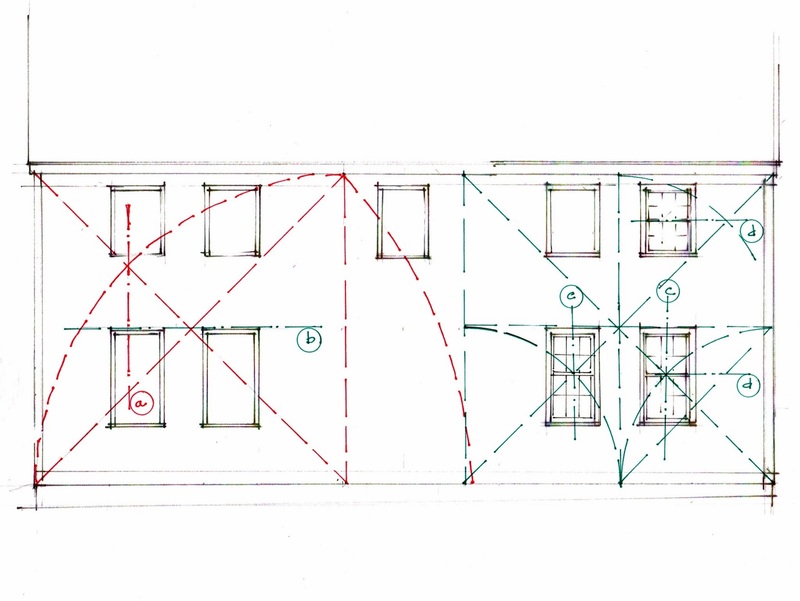 In this chapter Le Corbusier lays emphasis on significance of layout of an construction. That is the thing that I’ve always been heard but never gave importace to. Whereas, I’ve learned that regulating lines makes us avoid arbitrary results. But they can still give us great satisfactory. The thing which was riveting for me was the use of regulating lines even in the earlier eras. After primitive humans settled to a place which is optimum for their needs, they started to build new habitat. But they did not started doing it randomly. They were planning everything even though they did not have a tool to help them measure anything. They used their legs, fingers, steps to measure things. So that they did not take planning for granted. It was so surprising for me because even they didn’t have units of measurements they used regulating lines. I have realized that regulating lines provides the compatible compositions of the proportions, lines and the colours. And they awaken us to see senseful and coherent relations clearly. Namely, we should use regulating lines as a tool to help us but not for a solution. This entry was posted in ARCH 121 and tagged architecture, ARt, Le Corbusier, melisbel, Regulating Lines, TEDU. Bookmark the permalink.